Karma Mobility, a leader in internet access technology, announces an initial shipping date of January 15, 2018 for Karma Black. Karma Black is a Personal Security Appliance (PSA) that will encrypt and anonymize your online activity, protecting your identity from invasive tracking, unknown surveillance and sale of your private internet habits. Karma Black has opened device preorders for $149 through the January 15th shipment date. There will be a $19.95 monthly charge for security services. After the preorder period is over, the device will be sold at $249. 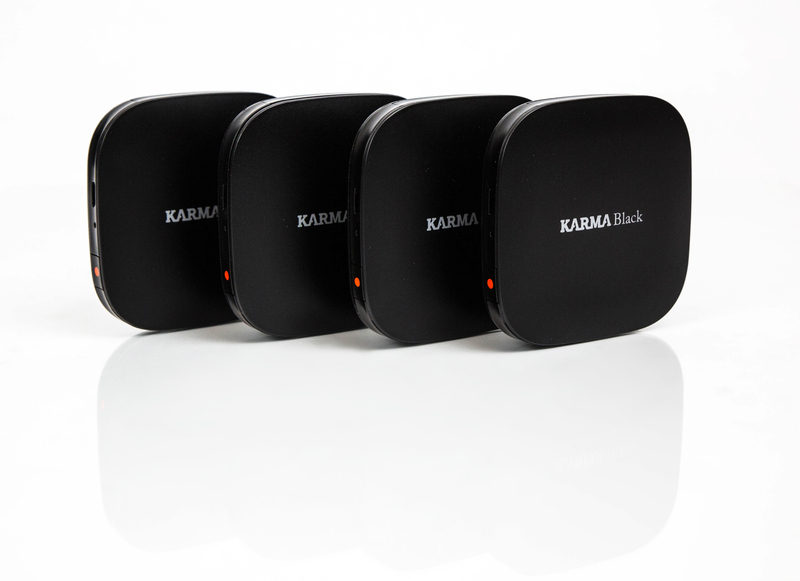 Karma Black can be configured for WiFi bridging to connect to your existing home WiFi service. This allows users to connect their smart phone, computer, streaming platform, gaming console and any other WiFi-enabled device to the internet through Karma Black without incurring any data usage charges. Simply point your devices to a Karma Black instead of your home WiFi router and you are set for anonymous consumption of open internet services. Want identity protection away from the house? Just unplug your Karma Black and take it with you for 6 hours of mobile surfing before needing a recharge. You can have the same high security protection using our nationwide LTE mobile network instead of your home WiFi. Karma’s pay-as-you-go data rates are the best in the industry. Karma Mobility plans to expand the available features going forward to take advantage of our Best-In-Class IOT-enabled access technology. Possible upcoming features include Tor services, virus protection, malware filters, parental controls and ad blocking.